Joining the special board of the Federal Ministry of Science, Research and Economics in Austria, as an expert on the topic of the tender processes in "projects in the field of digitalisation in apprenticeships". Expertin zum Thema digitale Bildung beim Sonderbeirat des Bundesministeriums für Wissenschaft, Forschung und Wirtschaft, Österreich, für die Ausschreibungen "Projekte im Themenfeld Digitalisierung in der Lehre". Expert Jury member for the funding program, "creation of digital teaching and learning materials with citizen science methods" from the Inovationsstiftung for Education. The created resources will be available as OER. Fachjury für das Förderprogramm "Erstellung von digitalen Lehr- und Lernmitteln mit Citizen Science Methoden" von der Innovationsstiftung für Bildung. Die erstellten Materialien stehen als Open Educational Resources zur Verfügung. Managing Director of the alliance for Education in Germany: The interface between the German Education Industry and the federal and state education ministries and organisations. Leading the political work group of the steering committee on Interoperability and Education Standards. Providing a monthly Report on the German education ecosystem and development trends as the expert on the German market for a global education reporting structure led by HolonIQ. Supporting global expansion efforts including the localisation and internationalisation of the product offering and access to investors and financing options. Determining market expansion possibilities with a comprehensive market analysis as well as supporting partnership and collaboration opportunities in specific regions. active shareholder in the only business angel company supporting education startups in Germany. Providing consultancy advice and investment, pitching and product support for early stage education startups within the German market. Collaborating with key technology and content partners to develop, create and implement a comprehensive solution sales program within the central European education market. Supporting strategic business development and partnerships strategies, platform design and integration, business development support for partner companies, contract drafting, content acquisition, and partnership pilot project implementation. Account manager work with Pearson, Oxford University Press, MacMillan and tech partners such as Microsoft, HP and LEGO Education. Education Ministry support with workshops and teacher training opportunities. Providing comprehensive platform and market analyses as part of the development of a full solution digital strategy for all print, digital and design production processes. Facilitating discussions between providers and the publishing house, and recommendations for best practice digital education standards. Defining possible interoperability strategies for current and future product development and preparing full reports for the publishing house. Working with the content and digital teams of the Veritas Education publishing house to develop new interactive digital solutions for the primary and secondary markets including technical, licensing, partnership, adaptive learning, and interactivity advice. Providing Platform, product and risk analyses and partnership management for new product integration. Preparing full functional specifications and wireframes and keyscreens for new products. Exploring new technologies opportunities for the product development strategy of the company including a strategic market analysis for the respective technologies. Managing the EdTech Startup project for the German Alliance for Education (das Bündnis für Bildung). 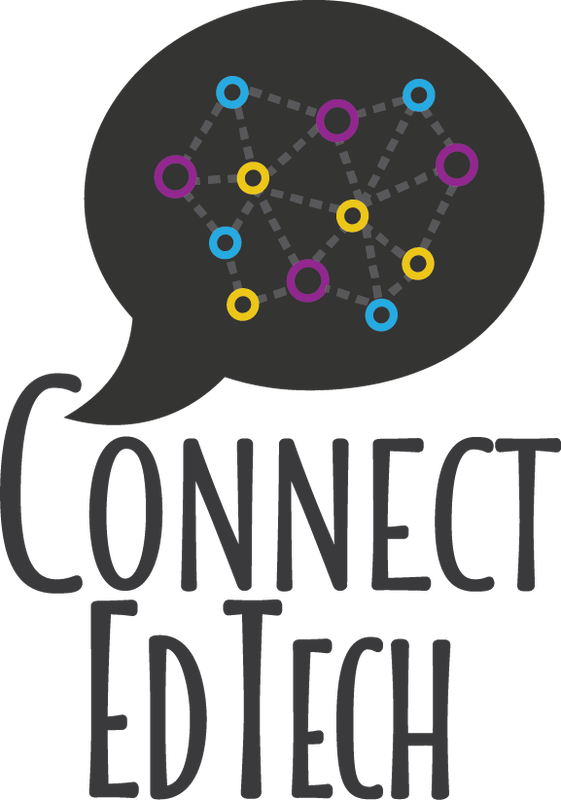 Organising the inaugural EdTech Day at the 2017 Didacta including event coordination and liaising with key industry players, project conception and management, and website and graphic design. The startup voice for Germany by the German alliance for education. ​Developing a detailed market expansion strategy including local partnerships, events organization and development, conferences, speaking engagements. Working on a digital development strategy and competitor analysis. Providing in depth reports and analyses of the market potential, product potential and design, and viability of specific EdTech startups to support the decisions of investors and EdTech investor funds. ​Assisting the internationalization, licensing and distribution strategies of this education publisher into wider Europe, Middle East and beyond. Invited keynote speaker (“Reframing Challenges for Success”), advisor during breakout sessions around education trends in publishing globally. ​Working on product and business development strategies for iOS education applications. Developing sales channels, negotiating distribution contracts and partnerships. 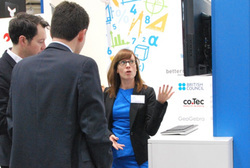 Acting COO & Co-Founder: Designing a STEM programme for educators and students. Responsible for: business and financial planning, distribution and sales plans, conference initiatives and partnerships, branding, presentations, product development, contract negotiations, investment discussions, team development. Founder & Director: setting up and managing a foundation supporting cultural entrepreneurship between students in the Kalahari Desert and Germany. Supporting expansion efforts with publishing and device maker partnership connections. Providing international industry standards advice for publishing partnerships. Participating in the yearly Education trips supporting teams from the Frankfurt International School, managing the middle School, Resolofetsi, in the village of Padstow in the Kalahari Desert, training students peer-teach other students. "Beth Havinga bringt Menschen, Unternehmen und Systeme scheinbar mühelos zusammen. Sie vernetzt Menschen und Informationen, erklärt Zusammenhänge und zeigt Möglichkeiten auf, berät in der Projektführung und Vorgehensweise und setzt Aufgaben in hervorragender Qualität um. Dabei arbeitet Sie international, fließend mehrsprachig, stets zeitgerecht, fokussiert, selbstständig und für alle Seiten gewinnbringend. Ihre hohe analytische Fähigkeit, ihr tiefes technisches Verständnis und ihre überzeugend, gewinnbringende Persönlichkeit, gepaart mit der spürbaren Liebe zum Thema Bildung, machen es zu einem Vergnügen mit ihr zusammenzuarbeiten".